Bad weather seems to be setting in. My head was a bit sore this morning but I soldiered on through my full cooked breakfast. From Caernarfon there is a short walk (mostly on minor roads) around Foryd Bay and then it’s a long stretch alongside the main road again. 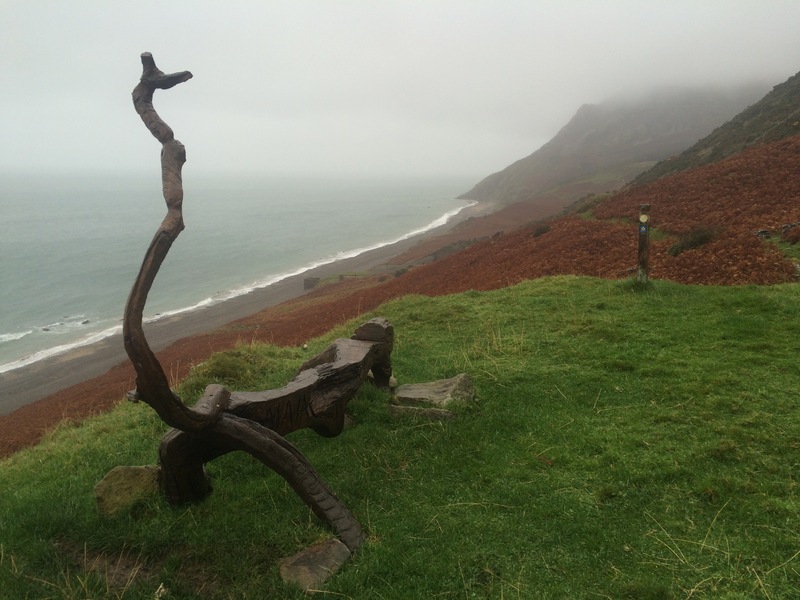 I decided to miss this out and caught a bus to Trefor. This way I would have plenty of time to complete what looked on the map like a very hilly section. As I sat on the bus the rain became torrential and I could feel the wind moving the bus. I amused the other passengers by donning full waterproofs as we drove along. 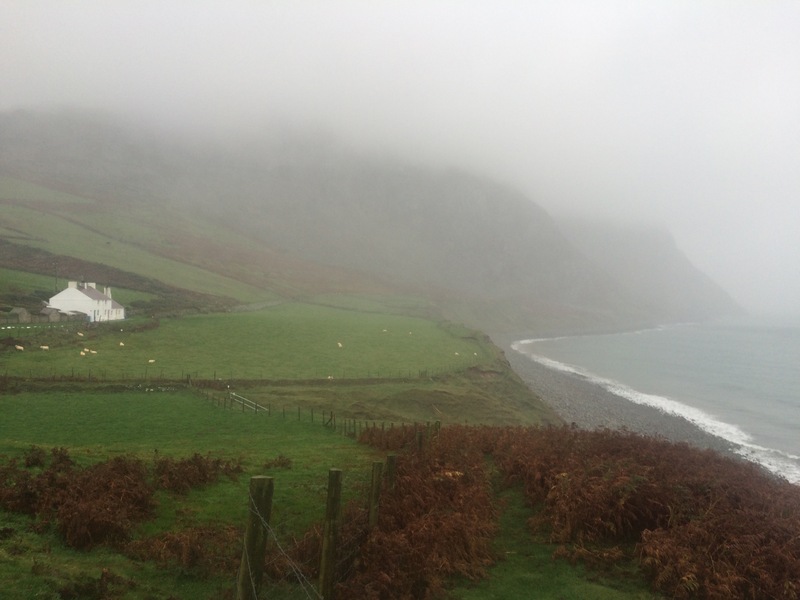 Trefor looked to be a fishing village, although I couldn’t see much through the driving rain. 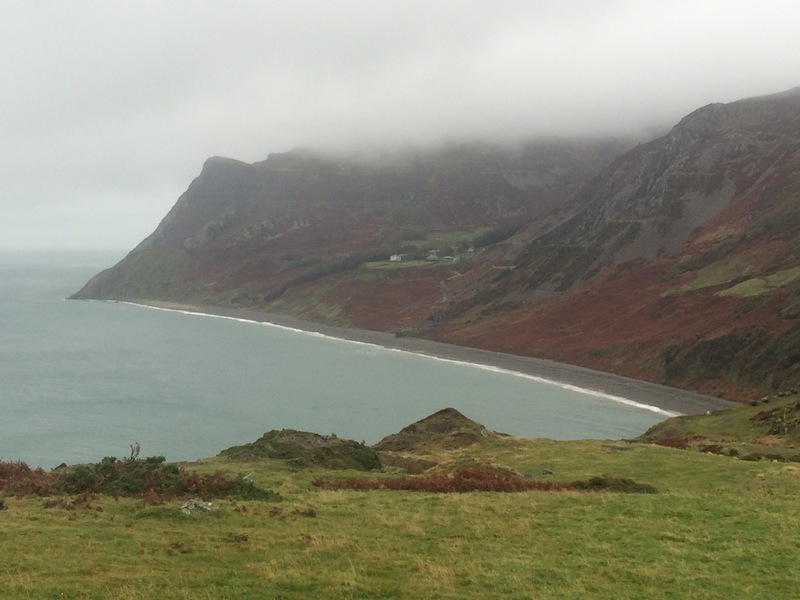 The coast path keeps to the low cliffs around Trefor and, only when I reached the end, could I just about see the huge mountain (Yr Eifl) looming ahead of me, shrouded by rain cloud. The path went directly up it. Zigzagging is for wimps! I walked up this long, steep hill as slowly as I could, trying to avoid sweating. It was a good idea but it failed. It wasn’t long before I was soaked both inside and out. Oh well. Despite the appalling weather conditions, very low visibility and slight hangover, I was enjoying myself. Needless to say I didn’t meet another walker all day and I revelled in the isolation that the weather had brought. I hummed and talked to myself (and the wildlife – these days I always talk to the birds, the cows, the sheep et al) and no one was there to consider me strange. It was just me, on my own, in a wilderness I couldn’t see. 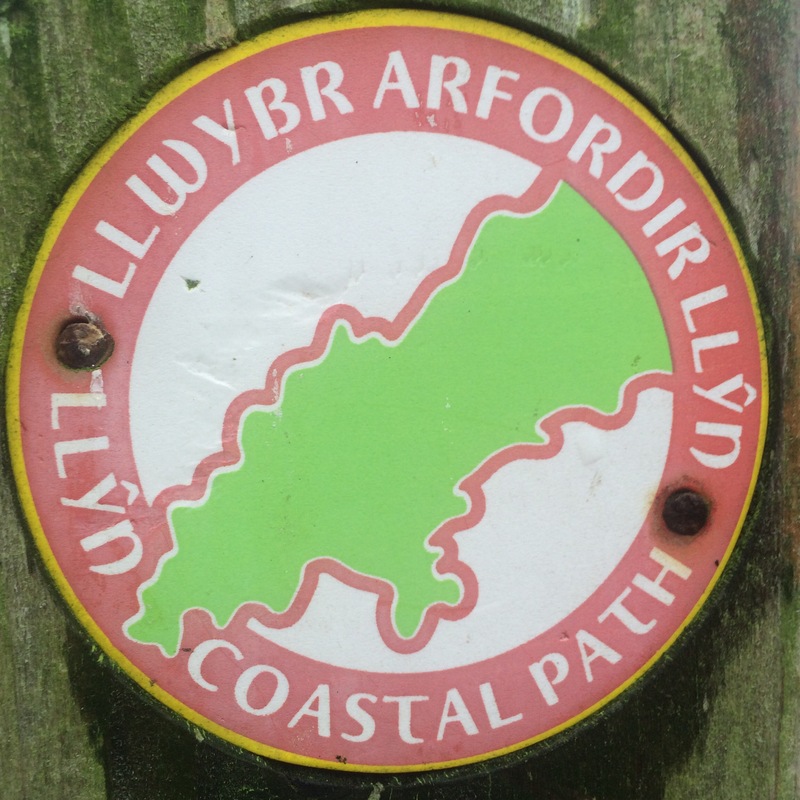 I was very appreciative of the excellent coast path signs as they made navigation a whole lot easier. At the top of the first ‘cliff’, which was actually a pass between two peaks, 350m above sea level, I joined the North Wales Pilgrims Way. This was a well-trodden path across Graig Ddu (hardy lot those pilgrims) and led me to a deserted car park. From here there was a small road that went down the steep hill (30% incline but this time there were a couple of hairpin bends thrown in). 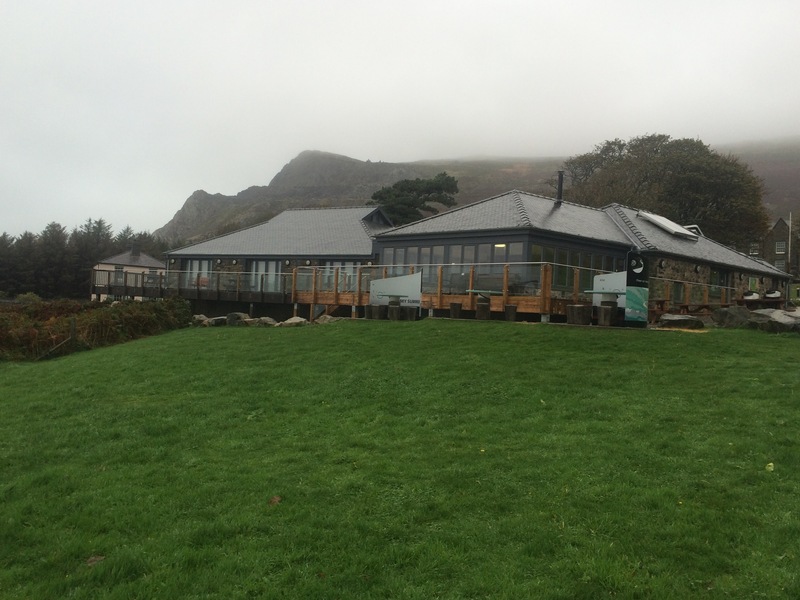 At the bottom was the Nant Gwrtheyrn Welsh Language Centre. What a location! As I approached it my first thought was that I had found what the Welsh Assembly spends its money on but, after visiting the heritage centre, I’m inclined to be a bit more charitable. 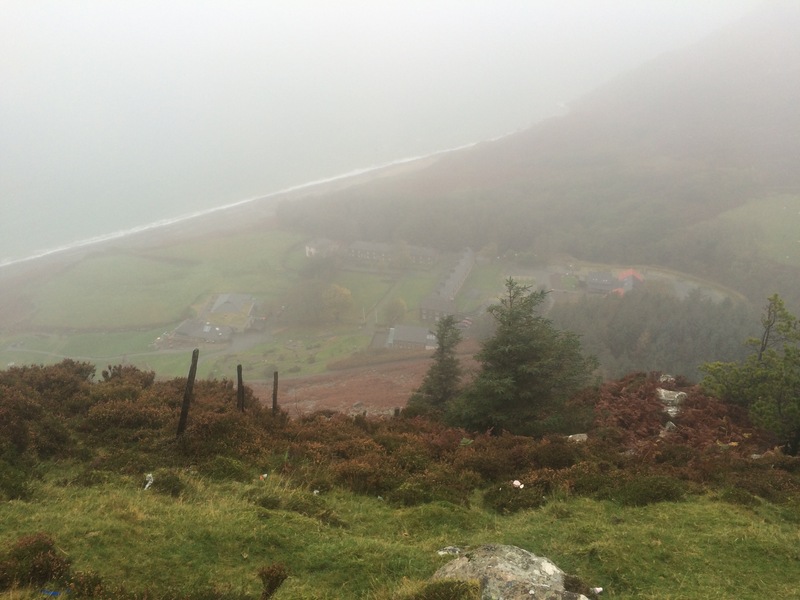 Due to the appalling weather and consequent lack of visibility I had no idea, until I arrived at Nant Gwrtheyrn, that I had been skirting a huge granite quarry. What a place; a granite valley, in the shadow of the 3 peaks of Yr Eifl, opening out onto the Irish Sea. In the 18th Century this small valley, which looked, from the photos, like a half-bowl open to the sea, was home to 3 farming families. 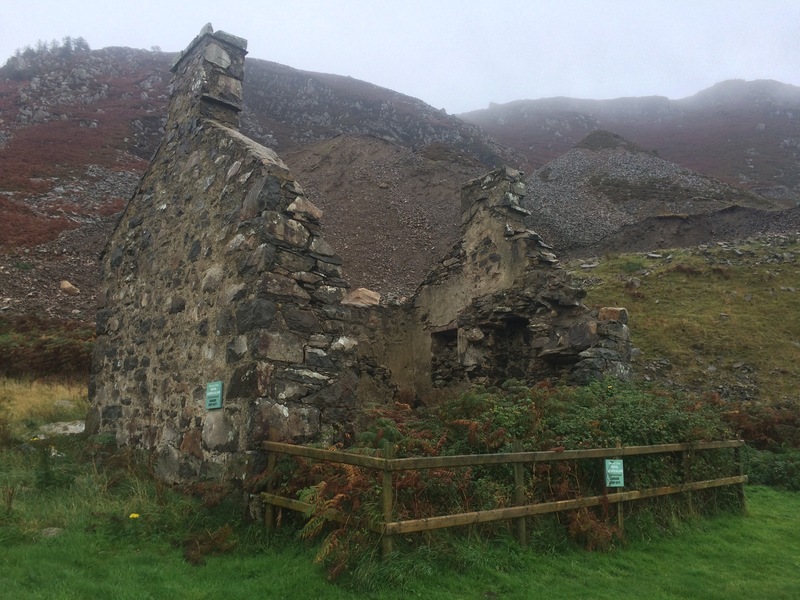 In 1851 The Nant’s first commercial granite quarry was opened and construction of Porth y Nant village began in this isolated place in 1863. By 1915 demand for granite was falling, quarries began to close and the last family left the village in 1959. 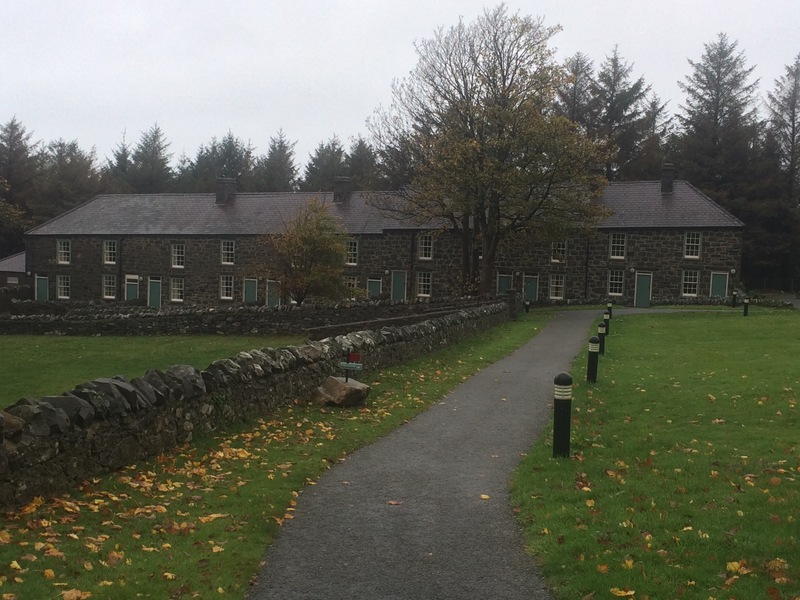 The Nant Gwrtheyrn Trust bought and renovated the village and it became a Welsh Language Centre in 1982. It now looks very smart. I stopped at the caffi for a hot coffee and a scone (served with Cornish clotted cream, proving the village is no longer isolated). I was the only person they’d seen all day; however, I noticed they were gearing up for a wedding reception in the large room next door. Is this part of the oak tree from one of the local folk tales, the one about Rhys and Meinir? After half an hour I put my dripping waterproofs back on over my soaked clothes and headed out for the next instalment. The sea was loud and raging and I had another steep climb out of the valley. The thing about days when the weather is awful is that at some point the smallest thing, or the glimpse of a view, becomes so much more special. 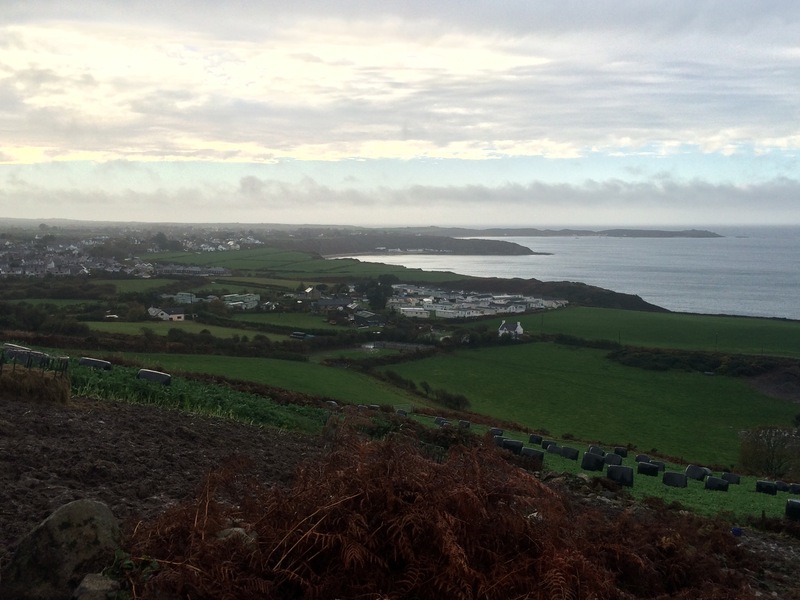 That moment happened as I came over the top of Gwylfa just as the rain stopped and the cloud lifted a bit. 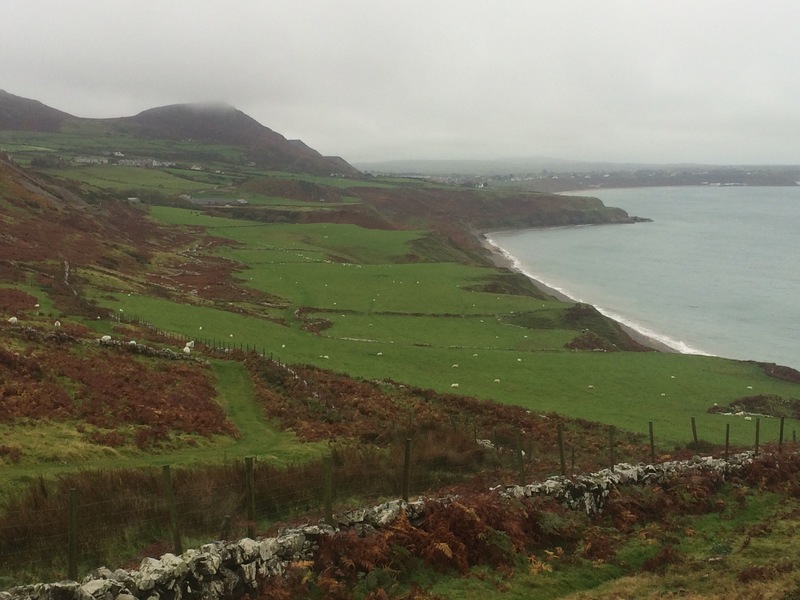 There, laid out in front of me, was a great view down to Nefyn and along the North Lleyn coast. Breathtaking. I fairly skipped the rest of the way. 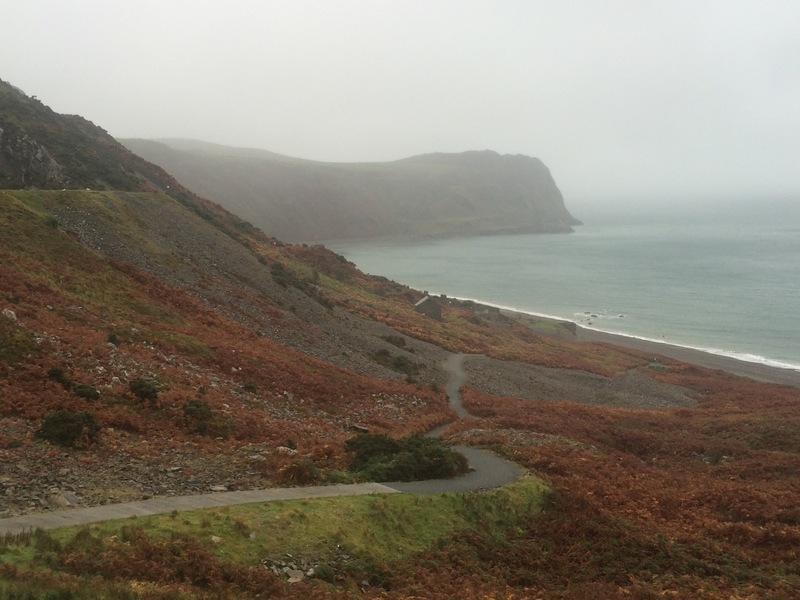 I reached Nerfyn just in time to catch the 3 pm bus to Pwllheli (the next one was 4.30). 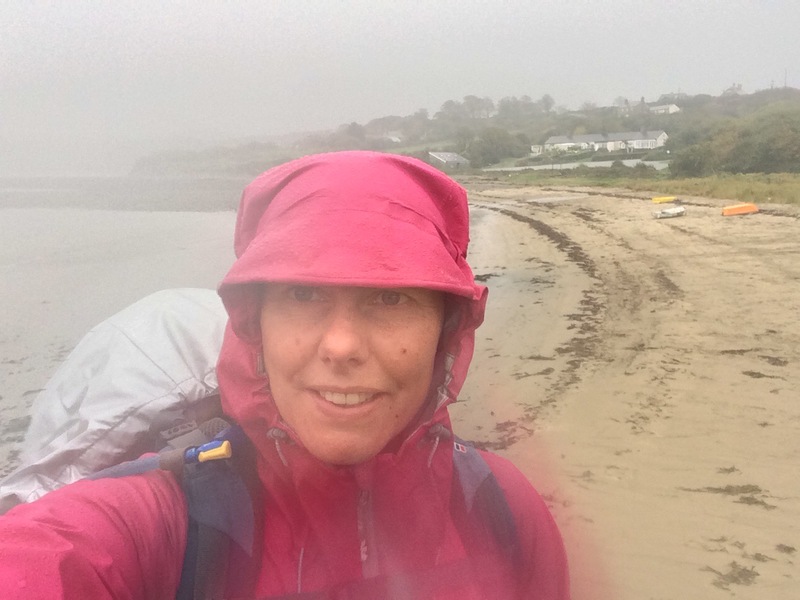 Respect……proper map and compass weather……I can feel the rain dripping down the back of my neck as I type……….yuk! Talking to the animals is accepted but you know you have been on the trail too long when the animals start talking back! Kep going Juicy massive respect!